There are many ways to serve in the worship team. There are opportunities to run sound equipment and Power Point during our services. All worship team members will have an interview conducted by our Worship Leader. Thank you for your interest. musicians and singers can login to the TPC online community to get information about worship team activities and service orders. 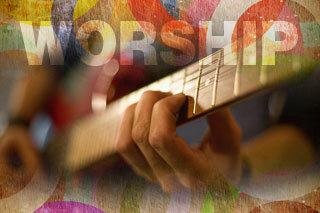 If you would like to be part of our worship team please use this form to express your interest. We are passionate about God's love and power in our lives. Every Sunday, we join together in singing relevant, contemporary, heartfelt songs of worship. We encourage you to join us this Sunday! • Our Commitments are Sunday 9 AM and 11 AM Service Meeting Times. If you have an interest in singing, playing an instrument, running technical equipment (sound, lighting, powerpoint), or getting involved in any aspect of worship ministry, please contact Turning Point Church at 360-489-0378. Your involvement is important to us! We now have 2 worship service times! Sunday service times are: 9:00 am and also 11:00 am. Please pray that God will guide you to the service HE would have you serve. Thank you so much for considering to be part of Turning Point Church worship team. As part of the TPC worship team, we encourage all members to be dedicated to prayer and to set-a-side a time of prayer for the many personal, family, church, and congregational needs. Our Lord instructs us to "...in every situation, by Prayer and Petition, with thanksgiving, present your request to God. (Phl 4:6 NIV). Thank you so much for wanting to serve in this way!